Click on the names of our Administration Staff and read little bit about them. 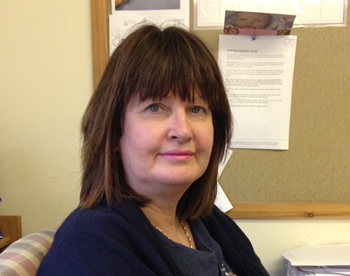 Shirley joined the Tysul Vets in November 2012 as Practice Manager to join her husband Robert with the day to day running of the practice in preparation for the retirement of Partner Peter Cule the following April. 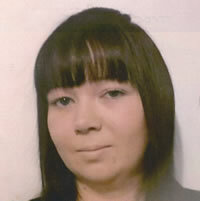 Shirley's background was in recruitment, personnel and in teaching and training in adult and community education. Although she had not previously worked in the veterinary or agricultural arena she would say that over 20 years as a vets wife and dealing with out of hours emergency phone calls for many years - she has had a lot of preparation for the job. The role of practice manager is varied and no two days are the same. With a staff of 25 plus there is never a dull moment. 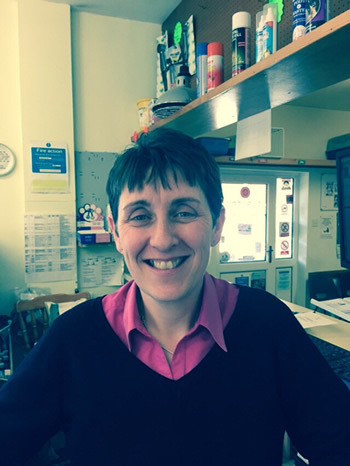 When not a Tysul Vets, Shirley enjoys researching local and family history, cooking, walking her dog Zac and spending time with her children, Alex and Sophie. My name is Sheila Evans and I am the Practice Secretary. I have worked at the practice for 35 years. I started as an accounts clerk and then moved on to secretary. I come from a farming background. Fy enw iw Sheila Evans a iw ysgrifennyddes Milfeddyg Tysul. Rwyf wedi gweithio yn y milfeddygfa ers 35 o flynyddoedd. Rwyf yn ferch fferm. My name is Elin and I am the Head Receptionist at the Practice. My daily role is to make appointments for both large and small animal clients. I joined the practice in 1996, and having worked here for 18 years I must admit that to start off I was worried because I am not from a farming background, but I have managed and enjoy my job. I have been brought up in Drefach Felindre, where I now live with my husband Paul and my grown up daughter Lowri. When not working, I like to eat out, bake, read watch the television and potter around in my small garden. I love all the small animals that come in to the surgery but my favourites are Guinea Pigs. Rydw i'n siarad Cymraeg. I am a Welsh speaker. My name is Kay Evenden and I joined Tysul Vets in 2007. My role at the practice is to enter all the TB tests carried out by the Vets and I also do all the invoices for our clients. Out of work my interests are, in no particular order, running half marathons, cycling, swimming, going to the gym, eating out, going to rugby matches and reading. I also enjoy watching any type of sport on the TV but mainly rugby and football. My name is Tracy Jones and I am a part-time receptionist at the Practice. I joined Tysul Vets in 2006. My role involves me dealing with farm and small animal clients, answering the phone and making daily appointments. I have been brought up in Llandysul where I now live with my two sons, Ethan and Josh and our dog Oscar. Being a busy mum doesn't leave me with much time for hobbies but I do like to occasionally go out for food, go shopping and to spend time with family and friends. Nicky joined us recently in 2015 and works as a receptionist for farm and small animals. She has a background in agriculture. She lives on the family farm in Llanpumsaint, where she and her husband have a suckler herd. 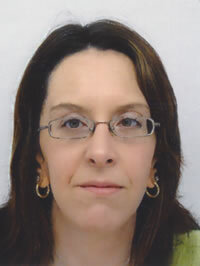 In her spare time Nicky enjoys dog agility training and pottering about with ponies.